Our farm is situated on the Rhinns of the Isle of Islay, an island off the west coast of Scotland that boasts over 237 square miles of peace, tranquillity, and outstanding natural beauty and is famous for its malt whiskies. The farm is on a 300-acre private estate of forest and farmland with Highland Cattle, Highland ponies, Hebridean sheep and of course a few chickens. Easter Ellister farmhouse dates back to 1880 and was the family home from 1971 until it was renovated in 2003 to become 4-star self-catering accommodation. It is just a short walk from An Linnean. 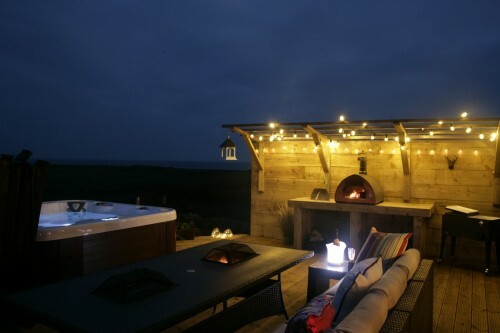 Earlier this year the decking was extended outside to create a wonderful outdoor kitchen with Italian pizza oven, a hot tub for 8 people and plenty of space for al fresco dining! 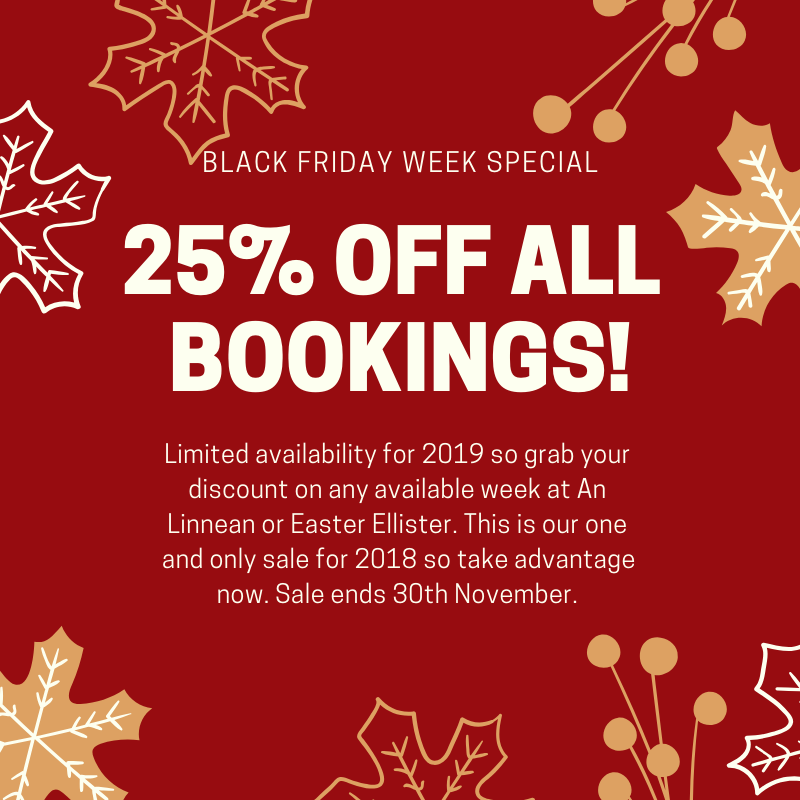 To celebrate our 15th Birthday in 2018 I am offering a 20% discount on bookings! An Linnean was built in 2008 as a self-catering property at the top of the farm to offer seclusion to those wishing to get away from it all! 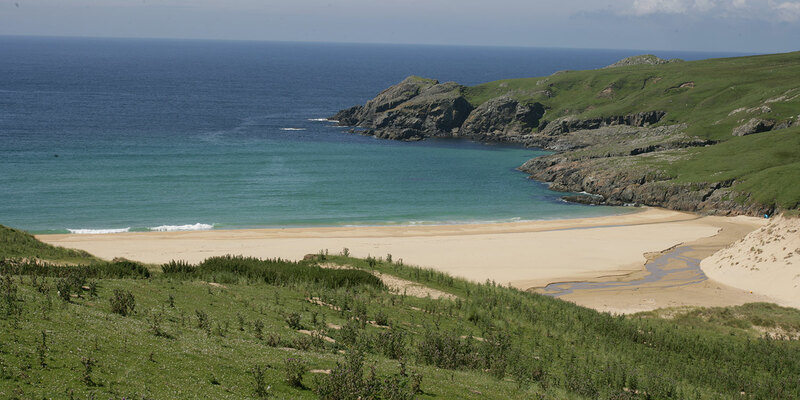 It was immediately awarded a 5-star grading from Visit Scotland and we have maintained those standards for 10 years. 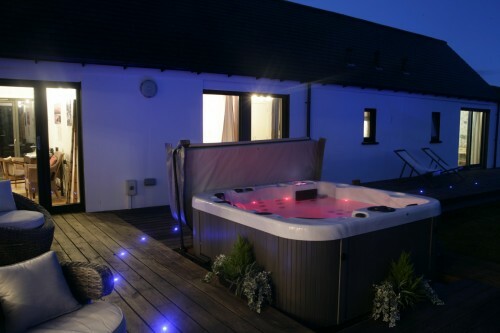 The hot tub was renewed this year and boasts Bluetooth so you can play your own music while bathing under the stars! Please don't be alarmed by the sheep or cattle keeping a cheeky eye on you from the next field! April news - open for business! We've had a busy few months on the farm but opened up for the new season just in time for the Easter holidays. An Linnean has had a facelift by painting outside and in and the decking has had a refresh. Most excitingly we said a sad goodbye to the old wooden cedar hot tub but a happy hello to a brand new Spa tub with Bluetooth and seating for 6. At Ellister farmhouse there were lots of behind the scenes repairs needing done - the old boiler has been moved outside, a new flat roof on the lounge, vital roof repairs but more excitingly - new wooden flooring throughout, a brand new decking, outdoor kitchen with pizza oven, large dining set and a large Spa for 8 - all overlooking the fabulous garden and sea views. I am really excited by the changes and hope you enjoy the new facilities at Ellister which already compliment the Finnish BBQ hut. Have a look at the new photos..